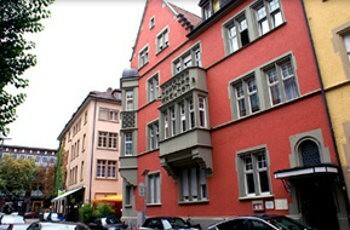 Core hours: 9.00 a.m. - 1.00 p.m. and 2.00 p.m. - 6.00 p.m.
We are located in the city centre of Freiburg, only 2 minutes by foot from the central station. Our French and Swiss customers appreciate the proximity of Freiburg to Alsace and Switzerland: we are only approx. 50 km away from Colmar, 60 km from Basel and Mulhouse and 80 km from Strasbourg. Here, you may find the corresponding map excerpt on Google Maps. 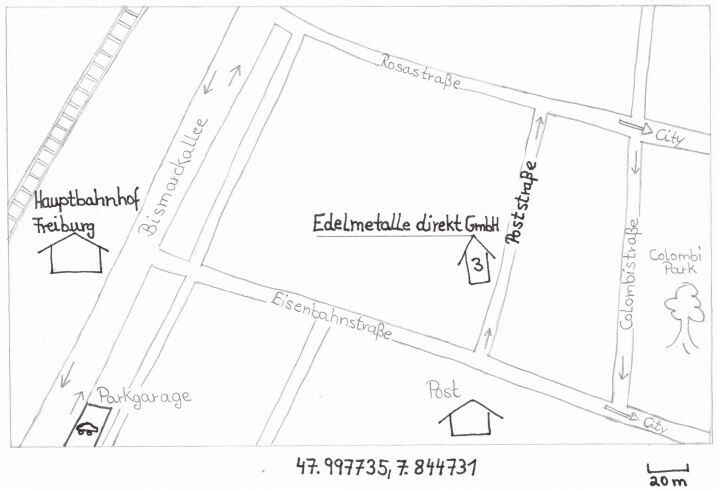 There you may also print out your the route you need to take to get to us: Detailed map + route planner to Edelmetalle direkt on Google Maps.